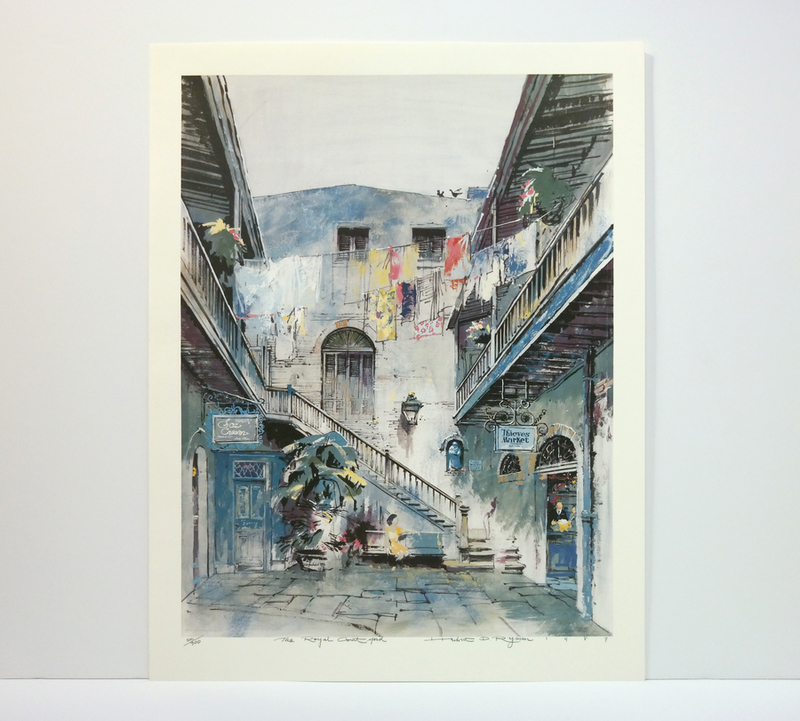 This is a limited edition lithographic print entitled "The Royal Courtyard", created by Herb Ryman. 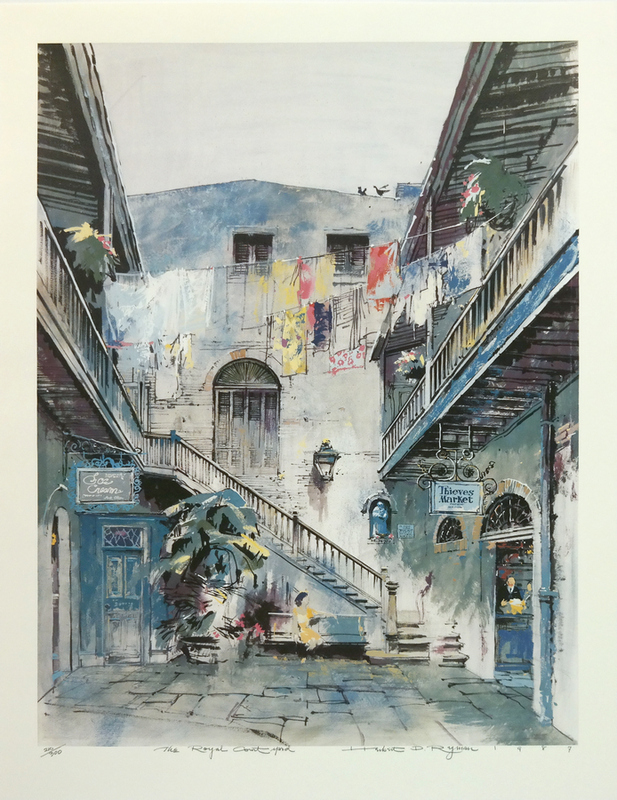 This print features Ryman's interpretation of the concept for Disneyland's Court of Angels area of New Orleans Square and was created in an edition of only 300. 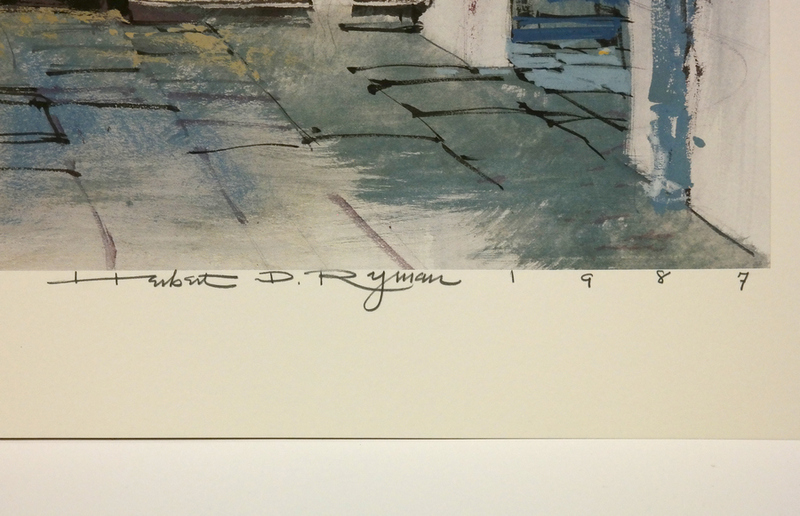 The print is hand-signed by Herb Ryman and features a hand-written date, numbering and title all in the lower margin. 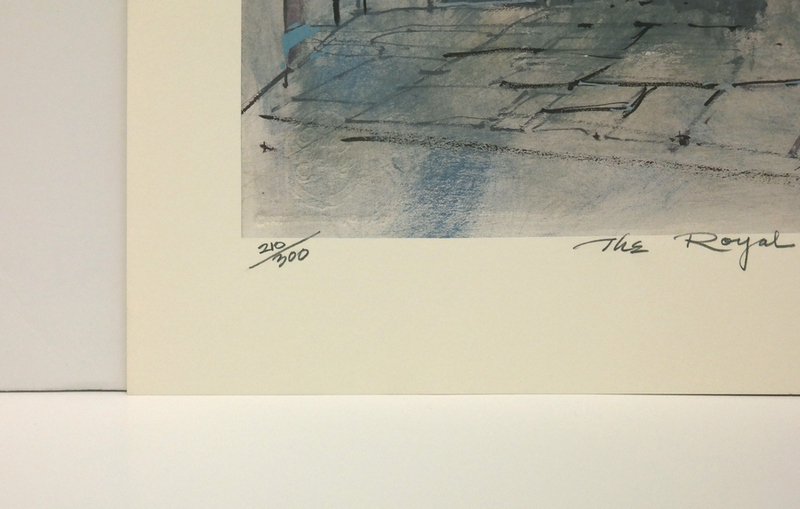 The overall measurements of the piece are 29.5" x 23" and the image itself measures 26.25" x 19.5". The print is in excellent condition.